When it comes to starting your own first blog, you naturally look for free alternatives. And as of now the Top four free blog hosts are – WordPress.com, Blogger.com, Tumblr and Posterous. They all are free, offer lots of options and you don’t have to worry about hosting or knowing any technical knowhow of uploading/downloading and configuring all that backend stuff. Problem is how to decide which amongst the four would be most suitable for your needs. For that you will have to check what are your basic needs and what all options do these four provide. Each of these four has their own positives and negatives. You will have to select which one would suit you best. Though as always, if you want complete control and total customisation, go for Self Hosted WordPress blog. Nothing can beat that. So let’s take a look at each blogging platform and what can they offer you. Blogger is a Google service so you can always expect some tight integration with Google’s own services like Picasa, Adsense, Google+ and Analytics. If you are thinking of monetizing your free blog you should think about going with Blogger.com as your provider. Blogger provides you with basically everything you require in a blog host. And in last 1 year they have really pushed the service with lots of features. To always stay ahead, use Draft Blogger Dashboard. Its a beta dashboard where new features are released first before being released to the public. WordPress.com started way back in 2005 has grown into one of the biggest free Blog hosting services today. It has one of the largest collection of the Free and premium Themes available which keeps on growing every month. Their Dashboard is pretty extensive and provides lots of powerful features like a powerful AntiSpam system/Full mobile support/Sharing options and Widgets. But on the other hand it has the maximum limits on features which others provide it for free. For example you need to pay them $12/year to use your own domain. You need to pay them $29.97/year to remove ads whereas other Hosts don’t put any ads whatsoever on your blog. To edit CSS or fonts you need to pay them $30/year whereas others allow you to have full control over the HTML of your blog. 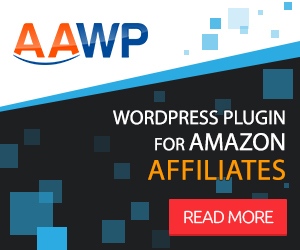 If you love WordPress as a platform but not want these limits you always have the option of going with their self hosted version though then you will have to manage everything yourself. Tumblr is a blog hosting service focussed more on Photo and personal blogs. Though you can use it for any type of blog you want but the unique social features available on it makes it more suited as a social network of sorts to connect with your other friends on Tumblr. You can post photo replies to posts, ask blog authors a question/message them or even submit them posts which makes it the most unique of all the blog hosts. Tumblr is the first service which allowed its users to post text/chat/quote/audio and video posts allowed the themes to style each type of posts differently. Infact the WordPress Post formats feature were intented to mimic this very feature. Posterous’s main focus seems to be towards providing a very minimalist interface to blogging. They provide all the basic features you would need in a host without going overboard or confusing you with hundreds of options. Their dashboard is very simple and does not overwhelm you with options and features. You can upload anything to your blog and it will be formatted nicely. The biggest downer here is the lack of themes. They have very few themes available. Though you can always create your own theme or hire a designer to do it for you but it would have been great if they could focus on providing more and more free and even some premium themes. I hope they do something on that front soon. Here is a detailed feature comparison between all the services which will help you in deciding on choosing your free blog hosting. Your Own Ads Adsense integration and ability to add any type of advertisement. WordAds - You need a custom domain blog and high traffic before being eligible for it. You can insert your own ads. You can insert your own ads. Commenting Supported. Supported. Most of the themes support Disqus though you can add any 3rd party commenting service. Supported. Mobile Themes Dynamic Views and Mobile Templates available. Full Mobile Theme support and iPad Native support via OnSwipe. Mobile View enabled. Mobile View enabled. Author Support Multiple authors supported. Multiple authors supported. Multiple authors supported. Multiple authors supported. Statistics Native Stats platform/ Google Analytics support and ability to add any third party service. Native Stats platform only. Use any service you want. Support for Google Analytics or a service of your own choice. Theme Editing Layout Designer and Full HTML Editor You need to pay in order to do CSS changes or change fonts. [Cost: $30/year] Full HTML Editor. Full HTML Editor and support for TypeKit Fonts. Mobile Posting App available for Android, iPhone and posting support via email and Blogger Mobile. Apps available for Android, iPhone, iPad, Blackberry and Windows phone 7, webOS and Nokia. Email posting supported. You can even post via m.wordpress.com Email posting supported plus Apps for Android, iPhone and Blackberry. Email posting supported plus apps for Android and iPhone. Custom Domain Support Supported. You need to pay $12/year to add your own domain. Supported. Supported. Does Host Insert Ads? Blogger inserts its own Navigation bar on top. Through CSS hacks you can remove it yourself. Wordpress.com does insert some ads. Pay $29.97/year to remove them. No Ads inserted. No Ads inserted. Limits 1GB for Photos shared with your Picasa web account. More on Limits. You can always upgrade (max 16TB) by paying. 3GB Storage for Images/Files. You can pay and get upto 200GB. Audio uploads are only supported if you buy a space upgrade. For uploading Videos, you need Videopress. As such no total limit. They have individual limits for each type of uploads. Detail mentioned in the post. 100 MB Upload limit per post. Themes Bunch of Free Themes from them or you can create your own theme. Free/Premium Themes available but no custom themes allowed. Hundreds of Free/Premium Themes or you can create your own. Few Free Themes available and ability to create your own house. Import Export Options Allows import/export via XML format. Allows import from lots of other services and allows XML Export. No Import/Export Option. Mac users can however backup their blog using an application. Allows Import from Lots of other services. No Export option available. Usage Suited for all sorts of blogs - both personal and professional. Suited for Personal, Professional or Enterprise type blogs. Mostly suited for Photo/Personal Blogs. Suited mostly for Personal Blogs. Hopefully now you have got a clearer picture of what each host has to offer and which one will suit your blog. Happy Blogging Everyone. Tumblr limits: Tumblr does have some limits imposed which are not mentioned clearly on their site. Here are they: 100 Posts per day. 75 Image Files per day. 1 Audio File Each Day (Only Mp3 allowed/max size: 10MB). 5 Minutes of Video upload/day. The limits are applied each time a new post is published, Queued, Drafted. And, the limits are reset each day at approximately midnight Eastern Standard Time. These limits apply at an account level rather than at a blog level. So, if you have one account with two blogs, you can only create 100 posts per day and can only upload 75 image files per day across both of those blogs combined. Note: I have tried my level best to check across all the hosts for their features and limitations. If you think I have quoted something wrong, please report in comments. If we go according to the comparison table then, I think WordPress has allover much more facilities and I do regularly use on my smart-phone. As WordPress is user-friendly and easy to use anywhere whether it is computer or laptops and compatible too. I didn’t know blogger and wordpress support for email posting. We are using tumblr and posterous but I think I’m going to give a try to blogger too. Thanks. I was about ready to take the Tumblr plunge for my radio program (mybmedia.com). At first, the 10MB audio file limit stopped me, but they offer the ability to link to an outside audio host; right now I’m using Mixcloud. However, their Flash audio player doesn’t work on my iPad, so I’m still searching for the ideal solution. Am glad to know that my comparison helped you in the selection process.